The television industry has been holding its breath. Just a few years after TV manufacturers banked on 3D to drive another round of TV purchases, they’ve found themselves having to change direction, using 4K as the latest carrot to entice consumers. But there hasn’t been anything to watch, and on the content side, viewing habits are in a state of wild flux as television viewers detach themselves from decades of convention thanks to DVRs, time shifting, and subscription service binge-watching. 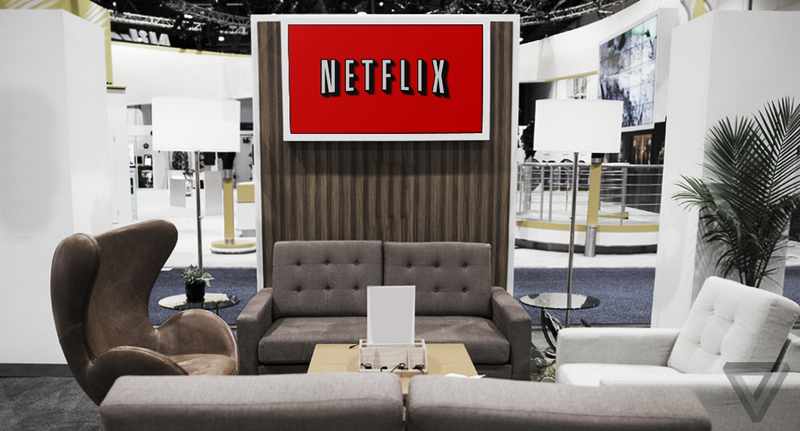 Riding like a white knight into CES this year was Netflix CEO Reed Hastings.Having proved itself as a trusted entertainment brand and producer of Emmy-winning original programming, Netflix is now working with a host of TV manufacturers to bring 4K content into the home. The company is uniquely positioned to meet the needs of manufacturers and the consumer market, and 4K may be the disruptive masterstroke that turns Netflix from a company that changes the way we watch TV to the one that changes the TV business itself. Before this week, the state of 4K content was fairly dire. While 4K cameras are slowly trickling into TV production, networks like AMC and Fox aren’t anywhere close to broadcasting in the higher-quality standard. Sony's media player is a high-end device tied to Sony televisions, and a Blu-ray standard won’t be locked down until the end of the year at best. When consumers start buying the first wave of affordable 4K TVs like Vizio’s $999 P-Series this year , the only way they’re going to get content is by streaming it over the internet. "One of the interesting pieces is that 4K is not going to have a major lifetime on a plastic disc," Netflix’s chief product officer, Neil Hunt, tells us . "It’s not going to fit on a Blu-ray disc, and it’s unlikely that people are going to want to upgrade their DVD players." It’s a streaming-first view that’s held not just by Netflix, but the industry at large: Vizio CTO Matt McRae and Sharp senior VP of product marketing Jim Sanduski both told us that they’re betting on streaming as the future of 4K. "A lot of it will come from streaming," says McRae. "And I think one of the best things that can happen is have streaming be first with content, be first with UHD [Ultra HD], be first with some of the [new] features." That plays right into Netflix’s strengths: in addition to having the most popular 4K-capable distribution system in the market, the company also an ace up its sleeve: actual 4K content. The Emmy-winning House of Cards is ready to launch its second season in 4K in the second quarter of this year, and Hunt also told us that "all major original content going forward" will be shot and finished in 4K . Of course, Netflix won’t be able to make 4K a widely adopted standard with just its own original content, and it’s already working on other partnerships. Sony has been pushing 4K throughout its entire chain, from motion-picture cameras to theatrical projectors, and will provide Netflix with 4K masters of Breaking Bad. Netflix will need a lot more than Frank Underwood and Walter White, but its relationship with Sony should be an asset as it builds out its catalog. "Certainly I’d call out Sony as being very progressive on wanting to deliver 4K and experimenting and exploring with us to make that real," say Hunt. It sets the stage for a potentially devastating series of events for Netflix’s competitors. Consumers buy new 4K TVs, and while there may be other services available, Netflix draws users in thanks to its brand awareness and original programming — the same strategy that took HBO to cable dominance. 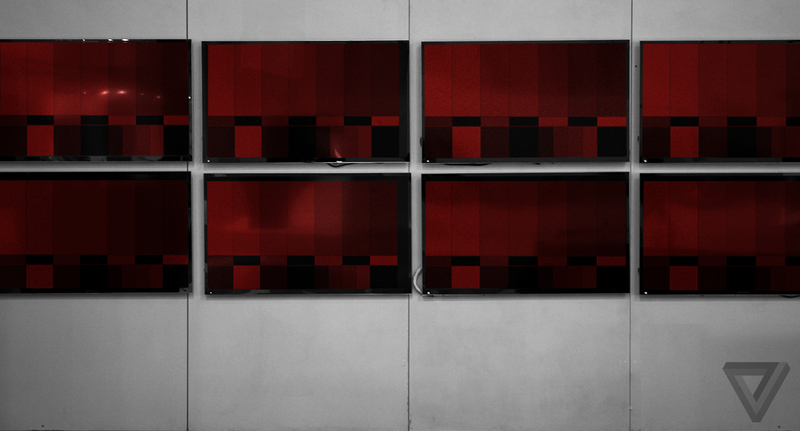 As broadcast networks are slow to catch up, consumers rely on Netflix as the main source of 4K content. In conjunction with Netflix’s recent UI revamp — which essentially aims to be a custom-programed channel for each individual user — Netflix becomes the de facto destination for viewers. And the competition isn’t even close: Hulu Plus isn’t in the conversation, while Technicolor’s M-GO is a relative newcomer with Samsung as its only 4K partner.Amazon did announce a slew of strong partners for its Instant Video service, including Samsung and Warner Bros., but details on what exactly Amazon will offer are thin and the company simply doesn’t have the likes of Arrested Development or Orange Is the New Black. Despite its disadvantages, Amazon does stand as Netflix’s biggest threat. Amazon Instant Video has largely been a hobby designed to spur on Kindle Fire sales, but if there’s anyone with the will and resources to make a full-court content press, it’s Jeff Bezos. Bandwidth, however, remains a big question. 4K streams will require around 15 Mbps for the highest quality, something that’s still relatively rare for many consumers. 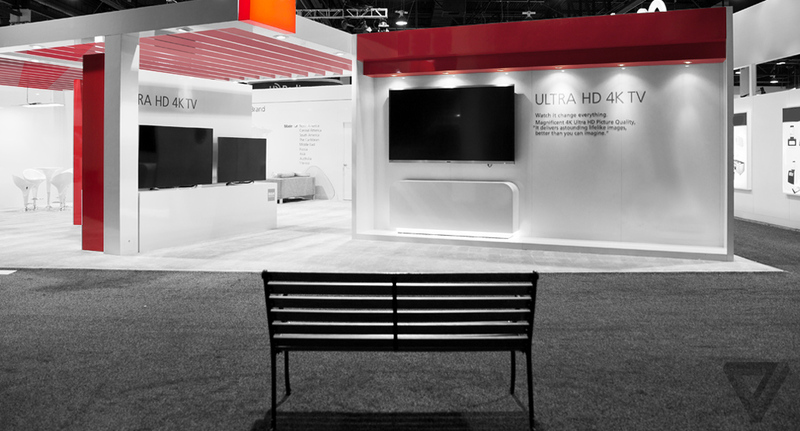 Hunt believes that in the short term, the customers choosing to jump on the 4K bandwagon will likely have the kinds of robust connections that can mitigate any potential issues, but with Vizio putting such a focus on low-cost 4K, consumers with slower connections may find themselves more frustrated than delighted. The content problem won’t be solved overnight either. Netflix will need 4K masters from studios before it can expand its catalog, and the company thinks that even by the end of the year the selection will be relatively thin. "Over time we expect to gradually introduce a lot of additional content, other originals we’re working on, other content from other vendors," says Hunt. 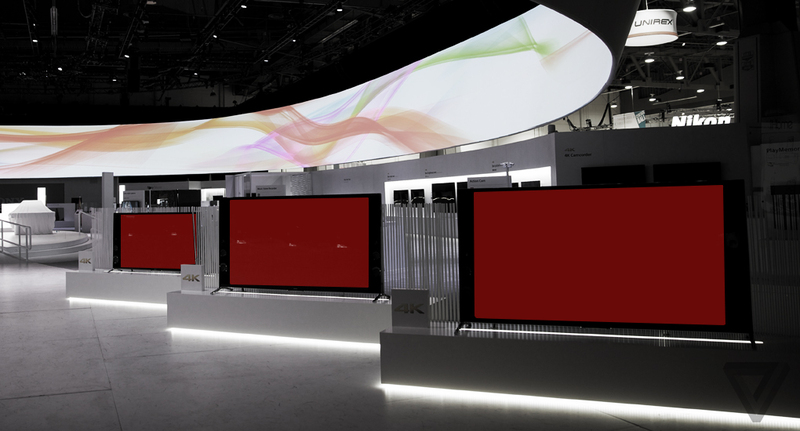 That transition will give others time to potentially catch up; Sony CEO Kaz Hirai recently stated that he thought it would take a full five to seven years for 4K sets to be widely adopted. Despite the industry’s focus on 4K, some manufacturers express doubts that the jump in resolution alone will be enough to spur upgrades. "I actually believe that the color and the high dynamic range has a bigger impact than just straight resolution," says Vizio’s Matt McRae, describing additional enhancements present in Vizio’s high-end televisions. "From a customer impact … the color and the high dynamic range and that contrast that we've got is actually more important to making you feel like you're there." Netflix is looking ahead there as well. The company is one of four streaming partners for Dolby Vision — a suite of technologies for both creating and displaying high dynamic range video with dramatically enhanced detail and color reproduction. While Amazon and Microsoft are also on board, the push is yet another example of Netflix using every possible technological tool at its disposal to wow customers. "We’ve already exploited a lot of the opportunity out of spatial resolution," Hunt says about Netflix’s partnership, "but with frame rate and color space we’ve done very, very little to make improvements there. So I think there are huge advancements we can expect in the future." The march of 4K into the mainstream feels like it has a much stronger chance to be successful than 3D did — but that’s really just the beginning of the story. The stakes aren’t limited to the purchase of a single television; it’s the battle for the way people will watch TV in the years ahead. Above all other mediums, television watching is a habit, and as viewers rely on Netflix more and more, it gives the company more leverage in dictating the future of the industry. We’re at a potentially pivotal moment, where the needs of businesses and the wants of consumers are converging to open one gigantic window of opportunity, and Netflix is poised to jump through. Not bad for an internet startup.